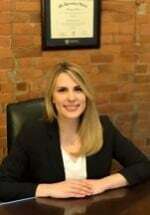 At Kayleigh Burden Law in Toledo, Ohio, our law firm’s primary focus is personal injury law. Why? We know that when people suffer injuries because of others’ negligence or wrongdoing, their lives are turned upside down. We see it as our duty and our privilege to help these people negotiate the legal system so they can focus on getting well and returning to their lives. In addition, our law firm compassionately represents families that have lost loved ones due to wrongful death. Kayleigh Burden Law never takes our clients or their cases for granted. Instead, we treat clients with the respect and empathy they deserve. Starting with a free initial consultation, we take the time to get to know clients, fully answer all their questions, advise them of all available options, and then put our knowledge and skill to work on their behalf. We also accept all major credit cards for our clients’ maximum convenience in paying our reasonable and competitive legal fees.